This classic black waist hanged keychain is a wonderful gift. Beautifully finished in satin and non-tarnish high polished silver. 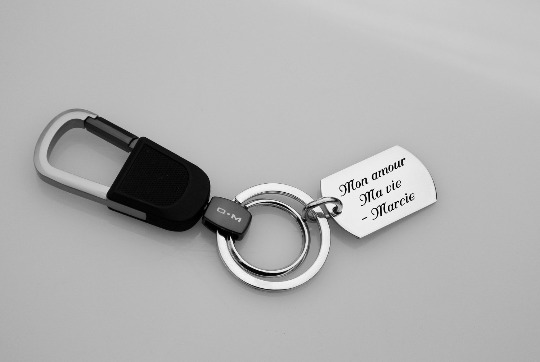 This key chain can be engraved with names or a message.